The Temperature and Humidity Station with 3 Sensors includes a color 4-zone digital display, and three (3) wireless Temperature and Humidity Sensors. 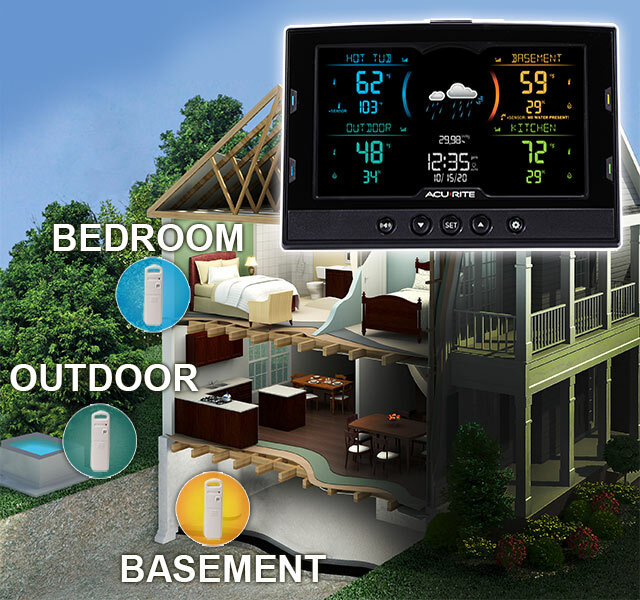 Featuring the ability to measure temperature and humidity in four separate areas, you can view at-a-glance information to keep your family comfortable, while protecting your residence and its valuable contents. 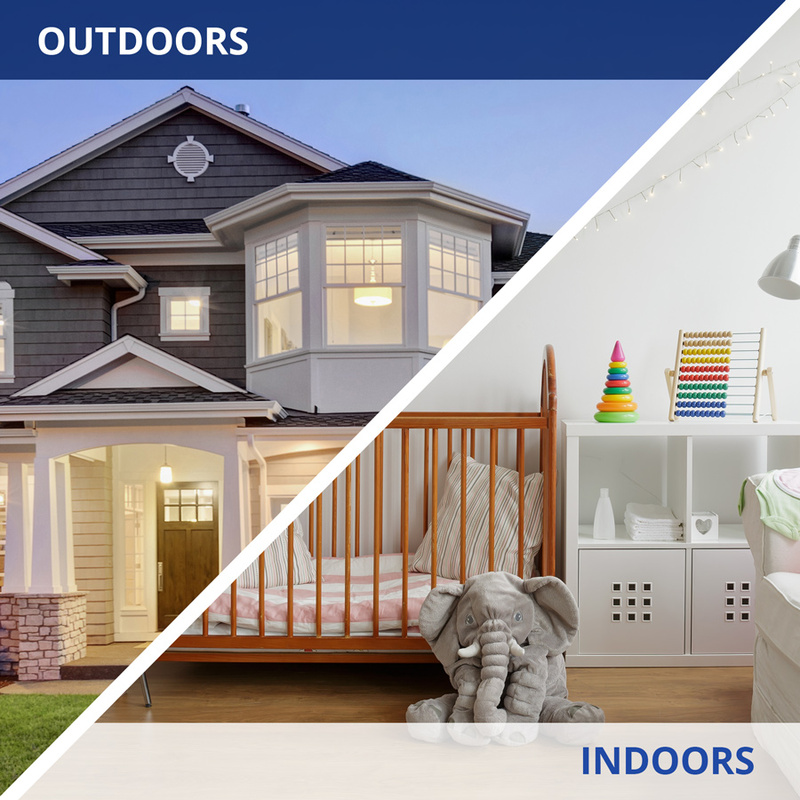 AcuRite's home monitoring solution tracks conditions in four areas in and around your home. With multiple accurate, reliable sensors, you have the power to truly take control of monitoring your home environment. Protecting investments like musical instruments, artwork, cigars, wine, collectibles, etc. Monitoring saunas, steam rooms, etc. The Home Environment digital display can be programmed to notify you with a visual alert and audible alarm if temperature or humidity levels exceed a preset range in any area being monitored. This important feature can prevent costly damage when monitoring your fridge, an exotic pet enclosure or fish tank, trying to inhibit mold in the summer months, preventing frozen pipes and more. 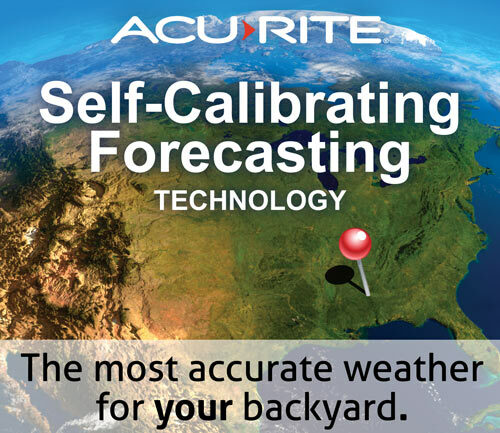 Thanks to AcuRite’s exclusive weather prediction algorithms, you can receive reliable weather forecasts with pinpoint accuracy right from your own back yard. Get the most accurate forecast available for your exact location, and truly plan your day with confidence. Setup is simple! Position one Wireless Temperature & Humidity Sensor outdoors for weather forecast information, and position the additional sensors in other areas you wish to monitor. Place the digital display indoors in the kitchen, office or living room, where its built-in sensors will also measure temperature, humidity, as well as barometric pressure (key for formulating weather predictions). The Home Environment display and the Wireless Temperature & Humidity Sensors are freestanding for tabletop use. The display offers integrated keyholes for easy wall mounting. The wireless sensors are weather-resistant and feature several mounting options. 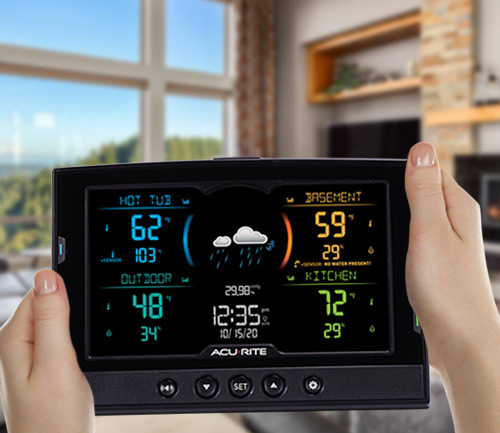 Keep tabs on your entire home environment, and take action if conditions venture out of your desired range with AcuRite’s Multi-Sensor Display with 3 Add-on Sensors.